Professor of Legal Education, Nigel Duncan, has been appointed to serve as an Academic Member on the newly-constituted Education and Training Committee of the Bar Standards Board. 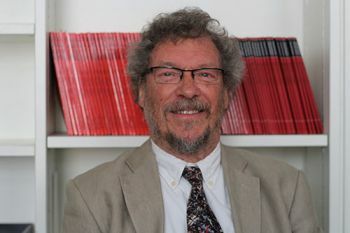 Professor of Legal Education in The City Law School, Nigel Duncan, has been appointed as a senior Academic Member of the Education and Training Committtee of the Bar Standards Board (BSB). Professor Duncan’s main teaching work is on City’s Bar Professional Training Course (BPTC) where he supervises the Free Representation Unit (FRU) option, which involves students in representing real clients in employment tribunals. The newly-constituted Committee has been given the task of implementing the Future Bar Training programme, currently passing through stages of consultation. Professor Duncan is delighted with this new appointment and says he will be arguing for “high educational and professional standards in the interests of students, practitioners and the public”. The Bar Standards Board regulates barristers called to the Bar in England and Wales in the public interest. It is responsible for the following: Setting the education and training requirements for becoming a barrister; Setting continuing training requirements to ensure that barristers' skills are maintained throughout their careers; Setting standards of conduct for barristers; Monitoring the service provided by barristers to assure quality; and handling complaints against barristers and taking disciplinary or other action where appropriate.